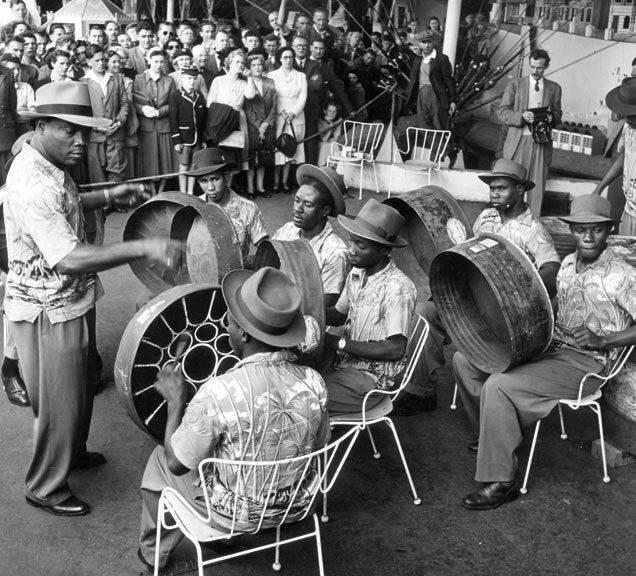 On July 26, 1951, some black men unloaded a pile of rusty steel drums in Southbank, London. It looked like junk. Garbage cans. The pedestrians milling around weren’t even curious. The men with the rusty cans sat with them on their laps and at a gesture swung into “Mambo Jambo”. By one newspaper account, “jaws dropped and eyes widened”. 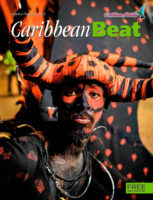 This was the first modern steelband, and its impact still reverberates in Britain. 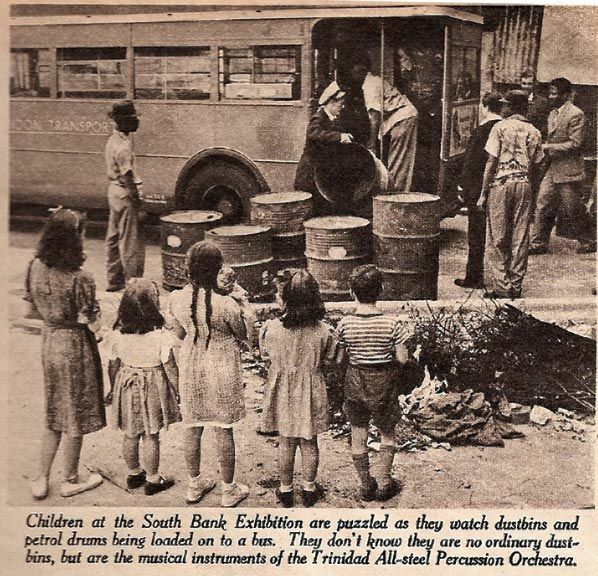 As for its significance back home in Trinidad, nothing would ever be the same after the Trinidad All Steel Percussion Orchestra (Taspo), neither musically nor even politically. Yet, a mere six years previously, the Legislative Council had prohibited the playing of “noisy instruments”, ie steelpans, in public. Generally, however, attitudes shifted in the opposite direction. 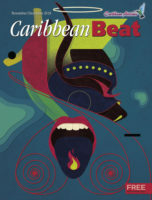 Steelbands blossomed in intelligence and beauty, seducing more and more Trinidadians, until in 1951, six years after Hannays derided the idea, the colony was represented at the Festival of Britain in London by Taspo. It was the first band whose pans were all made from oil drums, and thus had a more consistent timbre. More important, all were tuned on the chromatic scale at concert pitch, which allowed them to harmonise with other conventional instruments. Taspo also introduced the idea of multiple drums, which allowed the three-bass and two-cello pans to play full scales in the bass range. 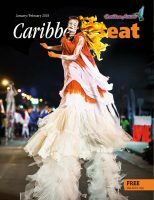 By March the Trinidad & Tobago Steel Bands Association had decided to send a representative steelband to the festival. The government refused their request for $6,000, so the association decided to raise the money, and a team of the most gifted panmen was chosen. This was at the height of the fighting years, when respectable society recoiled from the steelband movement in fear and loathing. “You think they would ever send a steelband to England with them set of hooligans in it?” sceptics told Tony Williams. “Boy, you’re only wasting your time.” But committees were established. Fundraising began. And the steelband movement, riven by warfare between bands, closed ranks. Bands held benefit performances all over the island: Fantasia and Mutineers in Princes Town, for instance, and La Lune in Moruga. 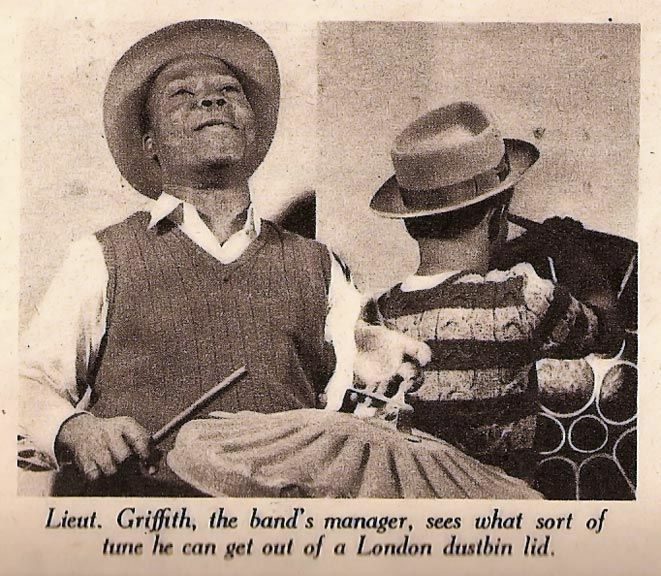 The musical director of the band was Lt Joseph Nathaniel Griffith, the steelband movement’s greatest unsung hero. Born 1906 in Barbados, he joined the police band at 14. 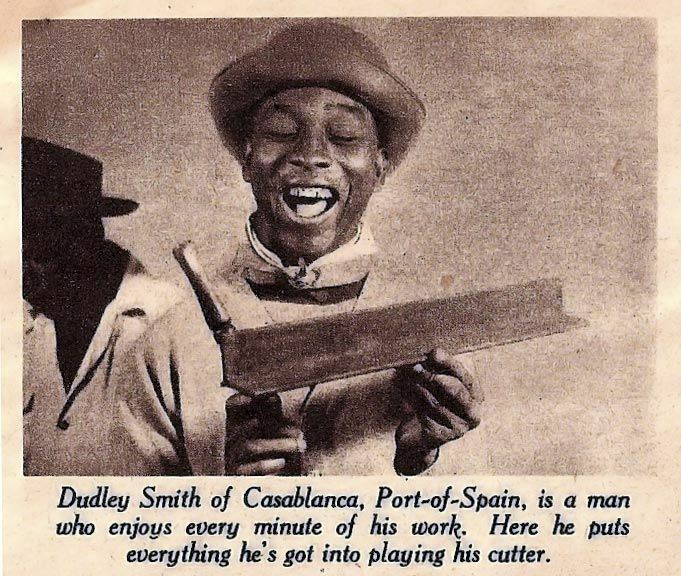 He left Barbados in 1932 to play clarinet and sax with an American jazz band, but was soon in Martinique arranging for the Municipal Orchestra. In 1935 he took over the St Vincent Government Band and founded the St Vincent Philharmonic Orchestra. 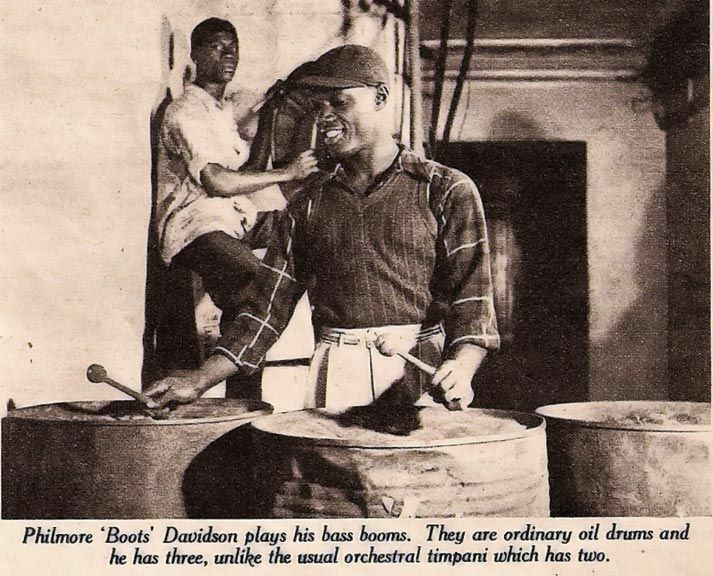 Then he led the Grenada Harmony Kings, before joining the Trinidad Police Band in 1938. He taught at the Tacarigua Orphanage and led its band, and conducted the Royal Victoria Institute’s orchestra. Griffith’s tutelage leavened the genius of men like Williams and Ellie Mannette, and they produced better pans than they ever had before. Williams invented the oil drum two-cello, and discovered the technique of tuning two tones in one note. The public was even more dazzled. After a concert at Globe cinema, the audience emptied its pockets into the pans. 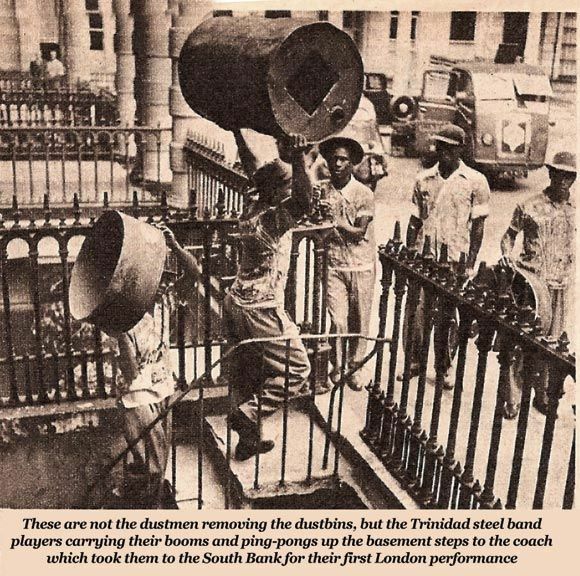 Now that Trinidad realised what a steelband could accomplish, even the elite and big businessmen supported them. 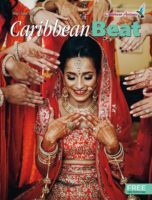 Bermudez donated drums, Fitz Blackman offered uniforms, the Himalaya Club, the Little Carib Theatre and the Jaycees held fundraising dances. The tourist board and Sir Gerald Wight each offered $500. Governor Sir Hubert Rance’s aide-de-camp organised an auction: Winfield Scott bought a case of whisky and returned it to the auctioneer, who promptly sold it again. Hindu leader Bhadase Maraj donated generously. Edwin Lee Lum, a non-smoker, bought 2,000 cigarettes. 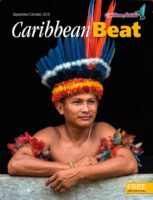 Thus Taspo, and by extension the steelband movement, forged the multi-class alliance which was for the first time nationalist in scope. Taspo’s first engagement was at the BBC, after which they performed at the Colonial Office, and at the festival. “A revolution in music reached London today, and experts predict it will sweep the country in a new craze,” reported an English paper. 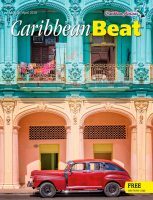 “Trinidad All Steel Percussion Orchestra sat outside the Festival Concert Hall and tapped sweet, swingy music out of rusty pans still with steamer labels stuck to them after their trans-Atlantic voyage. In late November Taspo returned to Paris for a two-week circus engagement and to catch the boat home. Betancourt, Bonaparte, Davidson, Haynes and Williams had plans to stay in England, but homesickness, an oncoming winter, and a fight between Bonaparte and Davidson changed that. 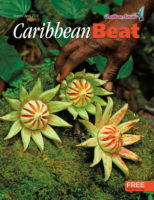 Only Betancourt, with tears rolling down, returned to cold London, having found an Irishwoman there to keep him warm.Fifteen years later, Betancourt and two other panmen would transform the small, private Notting Hill garden party into what is now the largest public street festival in Europe. 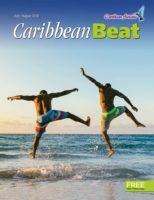 By then Trinidad & Tobago was an independent nation, able to boast of having created the century’s most important acoustic instrument.